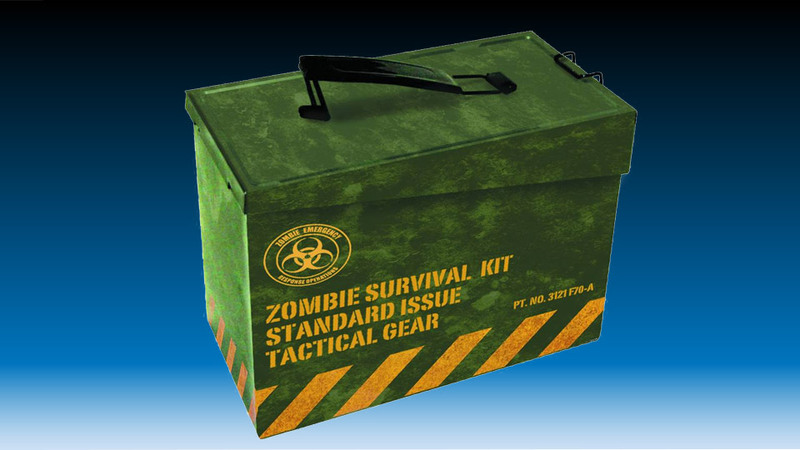 Let your coworkers know you’re prepared for the impending zombie apocalypse, and still planning a nutritious lunch, with this awesome Zombie Survival Kit Lunch Box. We suggest you pack it with your 3-Day Zombie Survival Kit, load it up in the back of your The Walking Dead Hyundai Survival Machine, and get yourself a this lighthouse, where you can wait out the end of humanity. Available at your favorite local comic book store for just $9.99 MSRP.